Want to create a buzz for your product online and be discovered by even more people around the world? Want to convert browsers into shoppers and grow sales for your business? 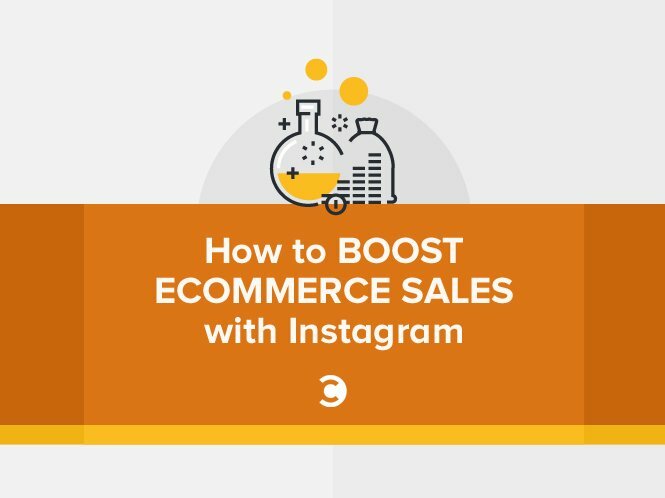 If yes, then Instagram is an effective tool for taking your eCommerce business to the next level. Did you know these facts about Instagram? In 2015, Instagram reported having 77.6 million users. In 2016, the estimated revenue from Instagram accounts was $1.53 billion in total mobile ad revenue. And, in 2017, it is estimated to bring a revenue of $2.81 billion, as per a report published by eMarketer. 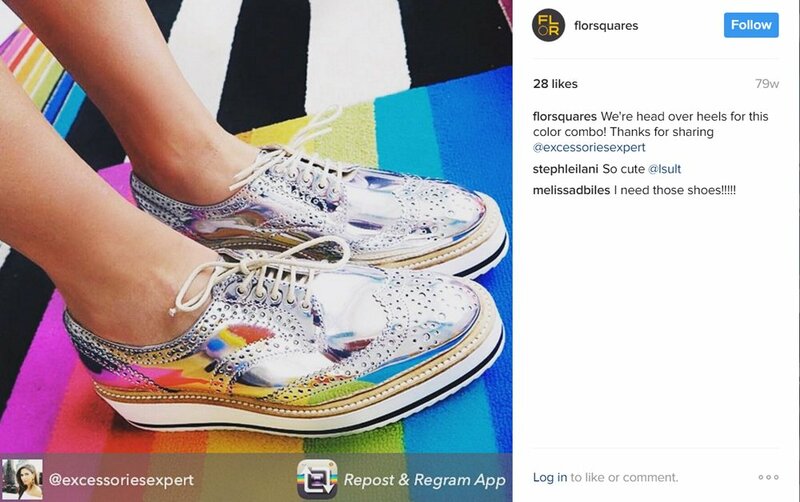 48.8 percent of brands use Instagram as a marketing tool. By 2017, that percentage is expected to scale up to 70.7 percent, as forecasted by eMarketer. 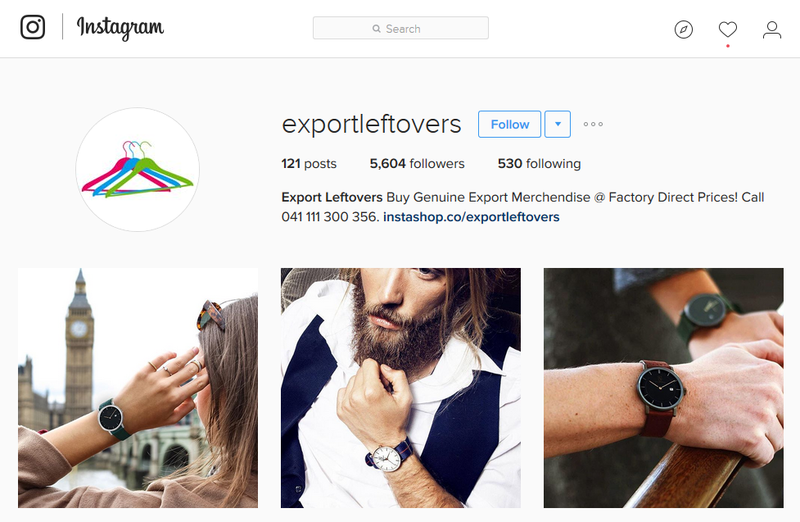 But how does Instagram work for your ecommerce business? It involves high-quality and creative images of products that look better and more engaging than generic photos. It gives consumers easy, mobile access to online shopping for your products. It attracts a larger audience, expands your reach, helps improve brand positioning, and enhances engagement. All of the above collectively assist users in their buying decisions, resulting in massive revenue for your business. Today, brands are no longer relying on Facebook alone to promote their products and services. 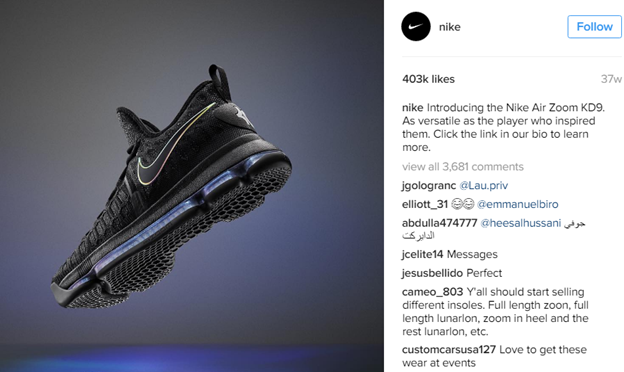 They’re also integrating Instagram into their social media marketing campaigns to achieve their business and marketing goals. Whether you are a startup or an established brand looking to penetrate deeper into the market, attract more people to buy your products or services, and build a strong brand value, Instagram is the solution to convert passive shoppers into active customers. Find out how Instagram can drive sales for your business with the nine easy steps below. 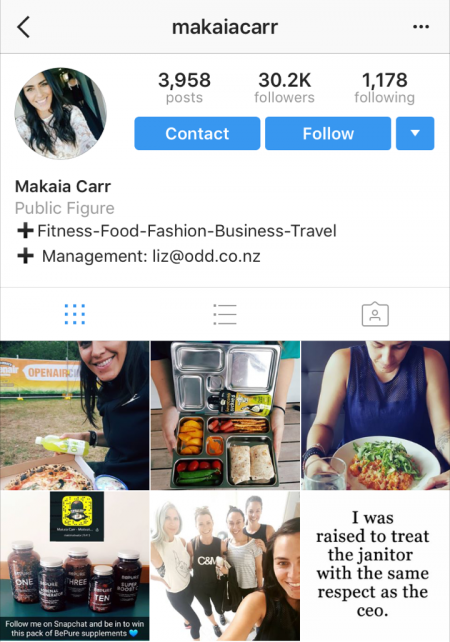 Instagram has announced the addition of a new feature on its platform: business profiles. You can now switch your personal account to a business account, which is the first step in an Instagram marketing initiative. This feature offers a professional-looking profile and lets you pull your contact information from Facebook, while retaining Instagram’s shoppable links. It also gives you information on the number of impressions and clicks on your posts on a weekly basis. Log into your Facebook account within the app, but make sure you have the admin rights of that Facebook page. You will be asked to select the Facebook page you want your business page to be connected with. Once you have selected the Facebook page, you will be asked to pull at least one piece of contact information for your Instagram business page. It can be a customer service phone number or an email address. To make sales on Instagram, use the three effective selling tools below. As a brand, selling will become easier with selling software tools that convert the sole link into a clickable storefront, showcasing all your products. A popular tool like Yotpo helps you connect multiple products with a single image. Now with your bio link, a shopper can visit a store and use the “buy now” button to make shopping easy. Another way to sell products on Instagram is with the use of hashtags. One handy way to do so is with Inselly. This approach is similar to the storefront link method but comes with the #Inselly hashtag, an added feature in the software. Inselly works by marking products as buyable items so that users can find and purchase them easily through Instagram’s platform. Remember: The image size recommended for Instagram is 1080 x 1080 pixels, and the character limit for captions is 2200. 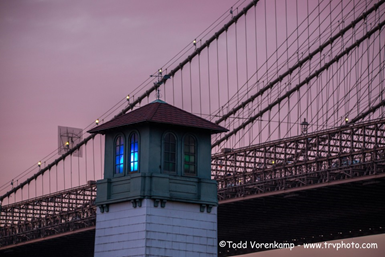 Another way to increase traffic and get users to your online store is to watermark images with your domain name. This way, users won’t feel as if they are being pushed to buy from you, but by attributing your image, your followers will know where to find out more about your business. The image image features a watermark of the website which tells users where to go for more information. Don’t forget that when you post an image on Instagram, it is cropped into a square shape by default. Be sure to place your domain name with that in mind. Round off your post with catch captions. A strong, crisp, and compelling caption adds value to your post. Encourage your users to create content for you. Ask them to share pictures showing off the products they have bought from your store, then reach out for permission to post the pictures on your own account. This way, other users will get inspired to purchase from you. This kind of referral marketing technique can have a positive effect on your sales. Many fashion-based online portals are implementing this in their social media campaigns as a promotional tool for their businesses. Just posting great images is not enough on Instagram, especially when you have a marketing goal in mind. Every image needs to be supported by relevant hashtags. Using hashtags helps Instagram catalog various kinds of images and products. If you are using appropriate hashtags, your products will be seen by a larger group of people, and more specifically, your target audience. On the other hand, using inappropriate hashtags, or too many, can have a negative impact on your strategy. This image shows how hashtag search works. 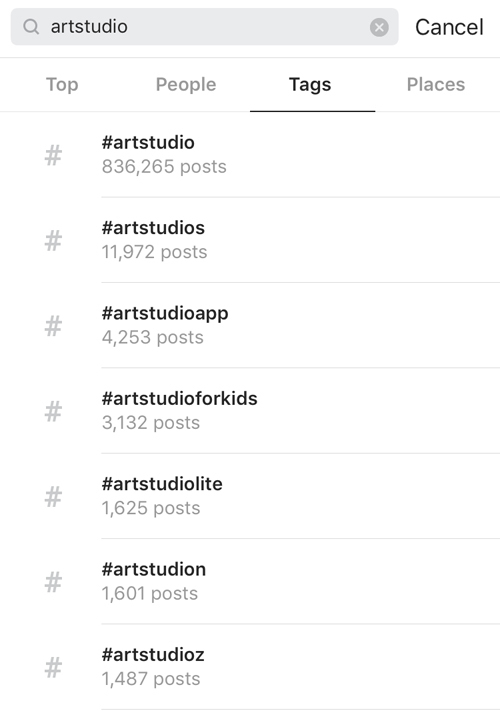 When you search for a hashtag like #artstudio, the top posts featuring this hashtag are displayed in the search results page. Hashtags also make your profile easier to discover across other social platforms. When your Instagram content is shared on Facebook, the hashtags automatically get published there too. This improves the chances of your content being found by users who are searching for those hashtags through Facebook’s Graph Search. 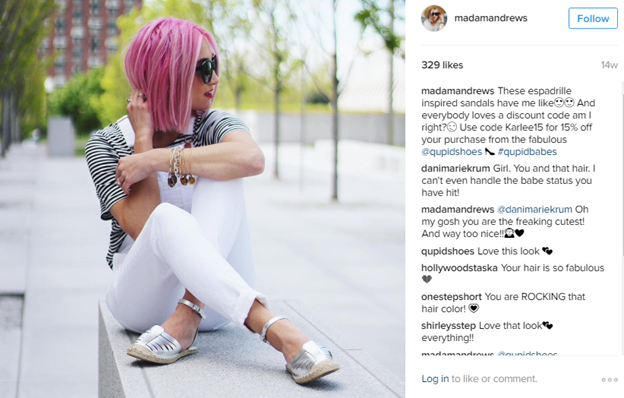 Influencer marketing is a popular way of marketing online to attract sales. It works the same way as word-of-mouth. A great thing about using this technique with Instagram is that you will have access to people from all niches, globally, like food influencers sharing their recipes with food lovers, fashion influencers flaunting their style, and so on. The image above features an Instagram influencer who flaunted an outfit from Express Runway, encouraging her followers to check out the brand’s profile and products. This will increase the brand’s chances of conversion. Analyze how your competitors are using influencer marketing to promote their businesses. You can also consider brands that don’t deal in products similar to yours. This will give you an in-depth understanding about the market trends. Let your influencers decide on what content to post—they know better how to keep their audiences hooked. Decide on a mood board that they will follow to work on the campaign. Pick relevant influencers with a huge fan following. 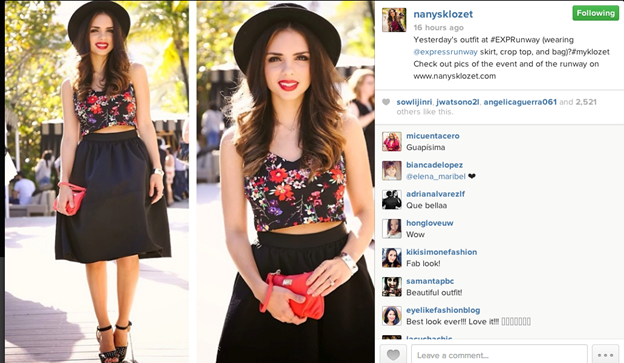 Use your influencers’ content on your product page to enhance the overall look of the page. Users viewing products on your site will get to know these influencers. After you have found the right influencers for your brand promotion, you can ask them to share promo codes for your products in their posts. This will increase the engagement of their audiences, which will in turn maximize your sales and bring in targeted customers. Take a look at the Instagram post of an influencer promoting a brand by informing their followers about the promo code, “Karlee15,” for a 15 percent discount on footwear. Instagram ensures your ads get noticed and brings you the most engaged audience. According to research conducted by Forrester, users are 58 times more likely to engage with Instagram’s branded content than with branded content on Facebook, and 120 times more likely when compared to Twitter. Ad recall from Instagram is 2.8 times higher than other social sites’. This means ads from Instagram are remembered more than the ads on any other platform. The average duration of visits to Instagram is 192 seconds, which is longer than on any other channel, including Facebook, Twitter, and Pinterest. To boost your conversions, run contests and giveaways and offer discount coupons to your followers. It will help increase your number of followers and improve engagement on Instagram. Support the contest with visual content and text. You can start with a teaser campaign like, “Coming soon,” “Sale starting in 2 days,” etc. till you launch your offer. 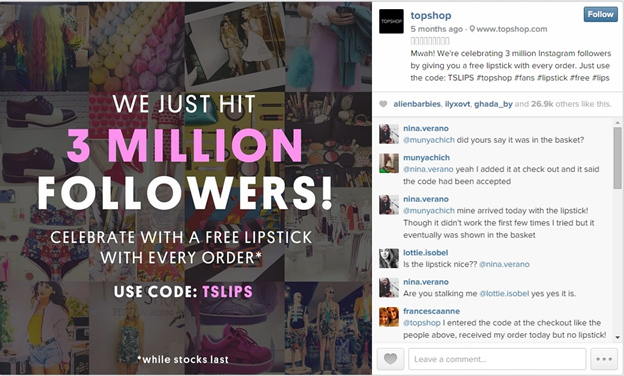 This example is from the brand Topshop, which informed their followers of an offer for a free gift with every order. The message is clear and well-presented. 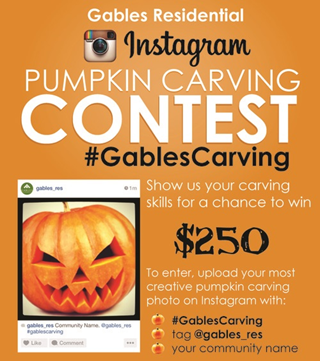 In another example, Gables Carving unveiled a contest using an appropriate image and the guidelines for participation in the content, as shown below. You can also use a good visual to announce the contest winners as part of your campaign, like in the image below. Michael Kors, a high-end American luxury fashion brand with approximately nine million followers on Instagram, integrated Instagram strategy in its marketing plan to get more leads and rank among the most-searched brands. The brand reported a boost in sales of 20 percent in North America, and 73 percent across its online portal at the end of 2014. Read the case study here in detail. What helped the brand achieve this tremendous response from its followers was a campaign called #InstaKors. 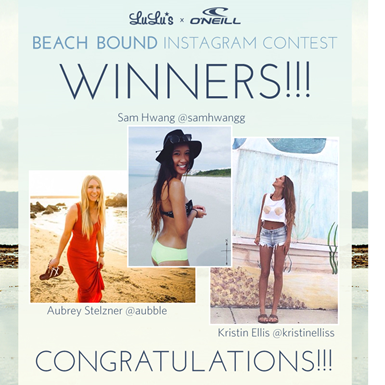 The goal behind this campaign was to offer its followers a seamless shopping experience through their Instagram feed. 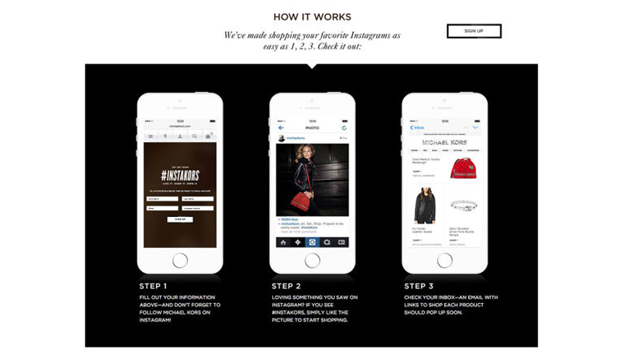 The steps involved signing up with an email address and Instagram handle. Once the user clicked to like a product, an email was sent with a link to purchase that item. Now that you have learned how Instagram marketing strategy can contribute to the growth of your business, it is time that you implement these nine techniques. They can make your strategy more impactful, help you gain followers, broaden your reach, and generate more sales for your business. To continuously improve on your ideas and perform better, keep track of how your posts are performing, which ones are the best, which resonate most with your target audience, and how the users are behaving.